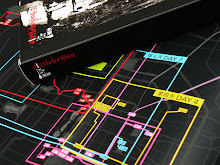 "A Little Beijing" receives red dot for outstanding design. For its outstanding design, "A Little Beijing" by Linz Lim has now received one of the most coveted design prizes worldwide: the “red dot”. The quality label for sophisticated and innovative design is awarded annually in the international competition “red dot design award”. This year, the jury consisting of 14 international design experts had to assess the design quality of almost 6,000 entries from 39 nations in the red dot award: communication design. In total 381 entries received a distinction. All award-winning works will be presented to the public in an exhibition at the red dot design museum in Essen, Germany, from 4 December 2008 to 11 January 2009. Unlike the usual travel guides, “A Little Beijing” introduces a whole new way of travelling – simply by being spontaneous. Based on a route less travelled, it is a seven-day tour to quaint places off the beaten track. The design of this publication stirs clear away from the conventional format of perfect-bound guides, and in the result of doing so, enables free and easy travel as well as journey documentation. The colourful routes on the Beijing map and the itinerary distinctively differentiates the daily tour. 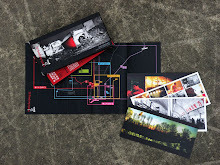 Photographs, maps and descriptions are put together to make 60 postcards. With “A Little Beijing”, travellers no longer need to fuss over heavy guides. They are only required to carry approximately 10 pieces of postcards per day. Upon visiting a place, they are free to inscribe or scribble their thoughts and feelings (and even new finds) at the back of the postcards, then mail them back home. Eventually, they will receive the full documentation of their adventure in the post – with stamps of authenticity. Of course, for those who are more adventurous, simply pick a card and start on a random note!